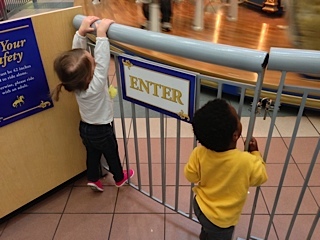 Eden and Josiah are just a little excited to ride the Carousel. 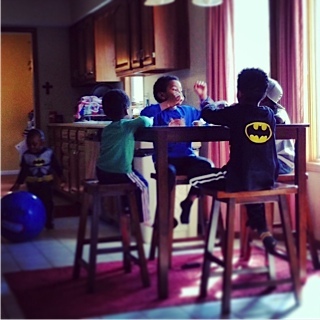 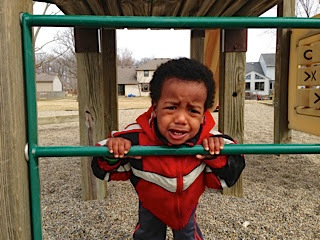 Josiah trying to hang with the older boys at adoption group. 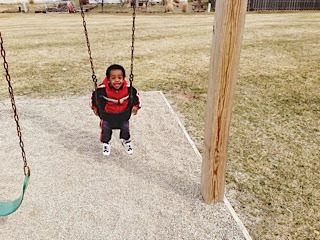 Trying out the park in our neighborhood. Josiah is never lacking expression! 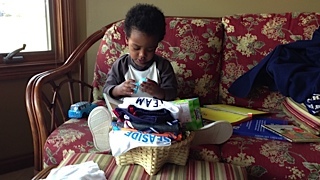 Josiah opening his Easter basket from G&G Ringger. 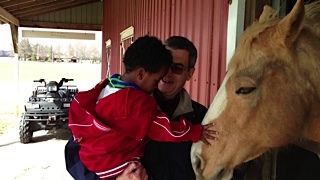 Enjoying the horses at Sam and Becky's at Easter.